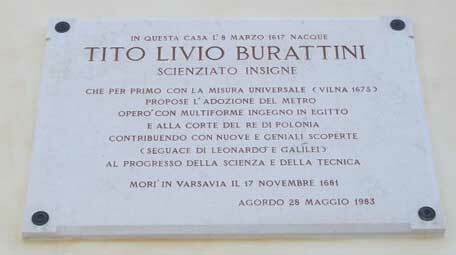 Tito Livio Burattini (known also under his polonized names Tytus Liwiusz Boratini, Boratyni or Buratin), interesting for us mainly in the context of his calculating machine (see calculating machine of Burattini), created in the late 1650s, was born on March 8, 1617, in an old and wealthy family of the local rural nobility in Agordo, a small mining town in Republic of Venice (now in the province of Belluno, Italy). The paternal grandfather of Tito Livio Burattini—Niccolò, was knighted by the Holy Roman Emperor Rudolf II in 1591, together with his brothers Tito Livio, Girolamo and Giovanni, thus allowing to the family to add to their names the title "da Susino" (because the family originated and had property also in Susin di Sospirolo, a small town some 20 km south of Agordo). Burattini was baptized under the name Tito Livio Niccolò (to remember his grandfather), and had a younger brother—Filippo (Filip) (born in 1620). Burattini father's name was also Tito Livio (he died in 1665). Burattini's mother was Isabella (or Elisabetta) Milo (1590-1695), also from a local noble family. 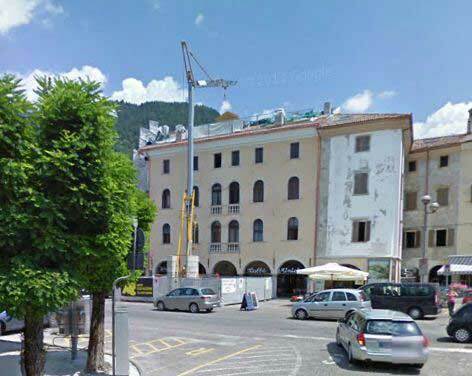 The native house of Burattini is still preserved in the central square of Agordo (see the photo below). 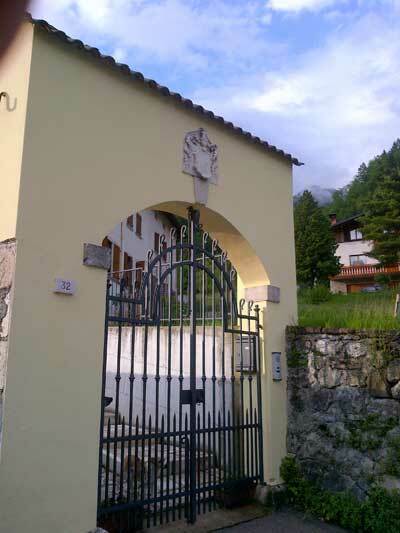 In Agordo is still preserved also another house of Burattini's family with their coat of arms over the front gate (see the image below). Almost nothing is known about Burattini's childhood. As a boy he was interested on the problems of mechanics and in the middle of 1630s he studied at the Universities of Padua and Venice, winning a comprehensive knowledge of mathematics and physical sciences, architecture and others. In 1635 a terrible fire destroyed the town of Agordo, but it seems Burattini had left his home town several years before this disaster. Burattini early became a travelling scholar and in 1637 he went abroad to Egypt (just like the inventor of the Sector, Fabrizio Mordente), where he stayed until 1641, devoting himself to the study of Oriental languages ​​and the discovery of Egyptian antiquities, visiting and measuring pyramids and obelisks, exploring the Nile and its periodic flooding. 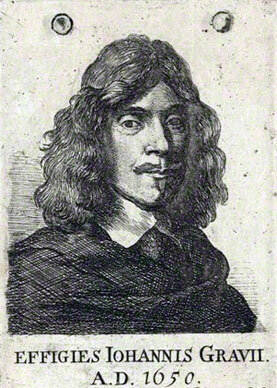 Burattini even worked for some time as an assistant of the English mathematician and astronomer John Greaves (1602-1652) (see the nearby image) with his famous work on the pyramids, crowned by his important book Pyramidographia (1646). In 1639-1640 they measured several pyramids (especially the Great Pyramid of Giza), obelisks and monuments, trying to classify them, and drew up plans of several towns, including Alexandria, Memphis and Heliopolis. In his notebooks, describing his exploration of Great Pyramid of Giza, Greaves noted his work with Burattini, moreover a part of his notes are in Italian, which comes to demonstrate the close collaboration between them. After returning to Europe in 1641, Burattini settled for some time in Germany, but in 1642 was invited to serve at Polish Royal Court in Krakow. He accepted the proposal and settled in Poland for several years. Here he found good friends like Stanislaw Pudlowski (a pupil of Galileo and Professor at Jagiellonian University), Johannes Hevelius (a prominent Polish astronomer), Girolamo Pinocci (1613-1676) and Pierre Des Noyers, a King's Secretaries, and others, and worked together with them on various scientific topics. In 1645 Burattini returned for some time to Italy, then travelled again to Egypt, before to settle permanently in Poland in 1647, this time together with his younger brother Filippo. The new Polish queen Marie Louise de Gonzague was a high-ranking and keen patron of sciences and arts and invited many European scientists to settle in Poland. Burattini lived in Poland up to his death (leaving that country only occasionally and for short periods), serving to 4 Polish Kings—Władysław IV, Jan II Kazimierz, Michał Korybut and Jan III Sobieski as an architect, engineer, mechanic, diplomat, etc. He wrote several books, carried out experiments of optics and astronomy, manufactured lenses for microscopes and telescopes, constructed devices of various types, designed several important buildings, performed a couple of diplomatic missions ordered by his patron Queen Marie Louise Gonzaga, took part in military missions and battles, etc. In 1650 Burattini was appointed as the Regis Poloniae Architectus (Polish Royal Architect) and directed the construction of the royal palace at Krakowskie Przedmieście in Warsaw, the Palace of Andrzej Morsztyn, the Church of the Discalced Carmelites, etc. 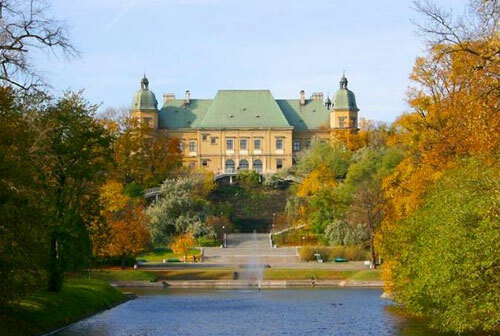 He carried out also restoration works at Ujazdowski Castle in Warsaw (see the photo below). In Ujazdowie he arranged the first Polish astronomical observatory, in which he discovered the spots on Venus in 1665. In 1660 Burattini was appointed as a financial secretary of the Royal Court. 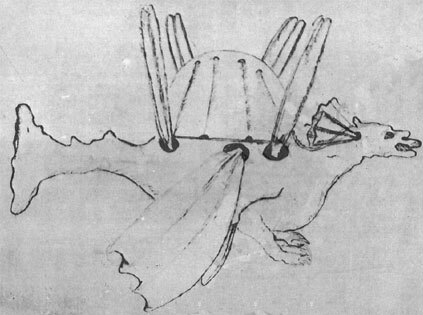 In 1647 Burattini presented to the Polish King Władysław IV a treatise entitled Dragon Volant (Flying Dragon, see the sketch below) with drawings of a complex ornithopter. The King showed particular interest and despite the difficult for Poland wartime, ordered a working model to be produced. In the same 1647 a small 150 cm model, carrying a cat as a passenger, was demonstrated before the Polish Court. 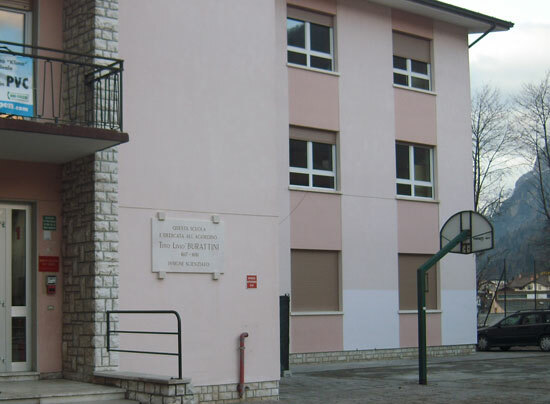 Burattini was granted 500 talers from the Royal Treasury for the construction of a full-size machine. The machine was ready in May, 1648, provided with 4 pairs of wings, mounted in tandem and a large folding parachute. The machine had a crew of three, and obviously no one can suggest that it really flew, despite of the fact, that Burattini even maintained, that he would fly from Warsaw to Constantinople (some 1700 km) inside 12 hours:-) Despite this funny statement, most historians believe, that Dragon Volant is the most important milestone in the development of "heavier-than-air" flying machines between Leonardo Da Vinci in the end of 15th century and Sir George Cayley in the early 1800s. The news of the flying models constructed by Burattini and about plans of implementation of the machine itself circulated among many European countries. What remains today is a treatise by Burattini Il volare non e impossibile, and two drawings of the flying dragon, one of which was sent to be assessed by Blaise Pascal. In 1655-1657 Burattini took part in several diplomatic missions in Austria (Vienna) and Italy (Florence, Bologna). Returning in Poland in 1657, Burattini (together with his brother Filippo) participated in the Polish-Swedish War battles under the command of general Stefan Czarniecki, with the rank of captain, commanding a company of infantry recruited at his own expense. Year 1658 was a very successful one for Burattini. In compensation of his service to the Polish King, on 1 May 1658 he leased the crown vineyard in Cracow, in August he was granted a diploma and a nobleman title, and in November 1658 he opened a mint in Ujazdów, which struck small copper coins referred to as borattines. The production of the coins triggered a violent campaign against him; he was accused of making huge profits from the mint operation (40% of the coin value) and of adding glass to the coins which made them brittle. In 1662 Burattini was brought to the Treasury Commission which however found him innocent and consented to prolong the lease. Apart from the mint in Ujazdów, Burattini opened another mint in Brest-Litovsk. In 1668 Burattini faced new charges of abuse and bribery in favour of the candidacy of Prince de Condé, but he managed again to refute them. In order to pay back the enormous debt (circa 1.5 million zlotys) due to Burattini by the Polish state, in 1678 he was appointed administrator of silver mint in Cracow. In 1660 Burattini married to Teresa Bronisława Opacka (17.09.1640-03.10.1701), the young daughter of the prominent Polish nobleman Zygmunt Opacki (1587-1654). They were to have six children. In the same 1660 was born their first child—the daughter Ludwika Izabela Boratini, followed by four sons—Aleksander, Franciszek, Kazimierz Karol and Zygmunt, and another daughter—Barbara. 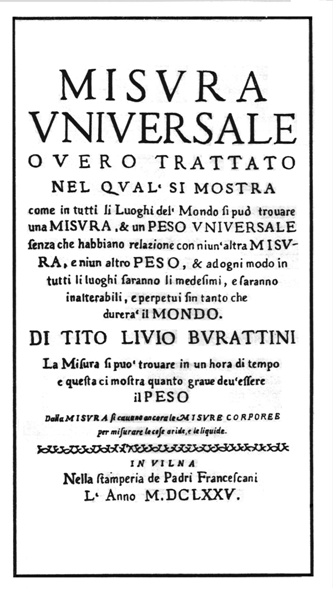 In his famous book Misura Universale, published in 1675, Tito Livio Burattini first suggested the name meter as the name for a unit of length. He chose the word meter after metron, a Greek word for measure. Burattini's meter was a universal unit of measurement, based on the length of a pendulum, beating one second. He named this unit metro catholico, which simply means universal measure. Burattini actually was not the first to propose the adoption of a decimal metric system, but he was the first to advance a project that received wide attention and was the one, who first suggested the name meter for the basic unit of length. In 1665 Burattini bought the village Jelonek, south of Warsaw. In 1666 he built a bridge over the Vistula for the army. After a short difficult period in his life in the late 1660s, following the death of his patron Queen Marie Louise Gonzaga in 1667, Burattini again got in favor of the Polish Crown and in September, 1671, he was appointed as a commander of the fortress of Warsaw. In 1678 he was again awarded a silver mint administration in Krakow. 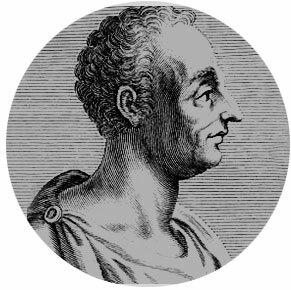 Burattini was a known scientist for the time and hold a busy correspondence with the some other famous scientists of his time like Ismael Boulliau, Johannes Hevelius, Athanasius Kircher, Marin Cureau de la Chambre, and many others. In Poland Tito Livio Burattini managed to establish himself not only as a scientist, but also as a businessman and diplomat, to become a rich and powerful man, to began a family. His end however was miserable—he died poor and sick on 17th of November, 1681, in Vilnius.